The interim budget 2019-20 presented by the Finance Minister Piyush Goyal presented was mostly met with positive responses from the education industry. The budget was presented before both houses of the parliament on February 1. He was presenting the budget as Finance Minister Arun Jaitley has been sidelined with an illness and Goyal, who also serves as Railways and Coal Minister in the cabinet, took the task upon himself to fill in Jaitley's sizeable shoes. Goyal, flanked by BJP heavyweights went through the motions of showcasing the budget in a briefcase before entering parliament for the mandatory cabinet meeting. The budget presentation began a few minutes after 11 am and Goyal delivered his budget speech in a mixture of Hindi and English. The initial points of announcement went without too much furore from the opposition and served as a highlights package of the NDA's near-five year reign at the centre. The minister announced the setting up of a national centre for Artificial Intelligence (AI) will soon. Reacting to this, Tarun Bhalla, CEO & Founder, Avishkaar, a Robot manufacturing company said, "It’s great to see the government sending out a clear signal by launching National Artificial Intelligence Portal. Artificial Intelligence (AI) is here to stay and will play a significant role in the future of the country. What's more heartening is the fact that the government is willing to invest in AI in major sectors - education, healthcare, transportation, infra and agricultural in the country." The government has also doubled the allocation for digital India. "The move will help India to enable millions of jobs in the next few years, but it should also address the need of getting the current talent pool global-ready for tomorrow. This will happen through a robust skilling, reskilling and upskilling model of the current workforce by government, companies and institutes. 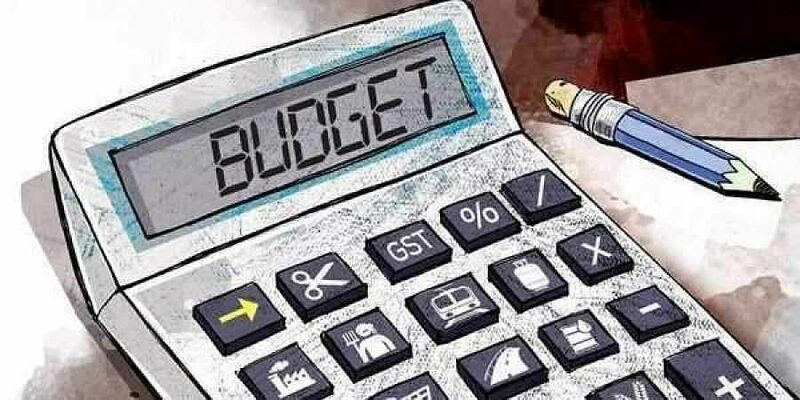 We expected the government in today’s budget to pass on few benefits for the ed-tech and skill-tech sectors by extending tax benefits and incentives for players, corporates, education institutions or even end users by giving tax exemption," says Krishna Kumar, Founder and CEO, Simplilearn. "Logistics sector has been predominantly dominated by unorganised sectors and the pension scheme for the 4.2 crore workers in the unorganized sector in numerous industries announced by the government, in a way will help in streamlining the workforce and will cater towards the attrition rate at ground level. With the scheme of modernizing the villages, making it digital will help in Skilling the youths of villages who are not willing to leave their homes through digital technology," says Divya Jain, CEO & Co-Founder, Safeducate. Dr Rajendra Sinha, from IFIM Business School said, "Announcing PM Kisan Nidhi Yojna is a welcome step to provide Rs 6000 p.a. ( in 3 installments of Rs 2000) to Marginal & Small farmers, directly in their A/C's. Will benefit 12 crore farmers. PMSYM scheme, proposing assured pension of Rs 3000p.m. (after 60 yrs age) launched for unorganized sector workers, at Rs 100 p.m. contribution, is a welcome initiative." Vineet Chaturvedi, Co-founder, Edureka stressed on skilling and said, "What could accelerate India's skill development story even further and provide fodder to corporate growth is a 'skilling allowance' for all tax paying individuals. Such a rebate that rewards continuous learning will go a long way in creating an industry relevant workforce that can make India a skill hot spot." Amol Arora of Shemford Group of Futuristic Schools on the other hand thought the budget could have enhancedthe condition of the education sector. "here’s still a need for a proactive approach considering the fact that investment in this sector offers the highest ROI in the long term. But most democratic governments concentrate more on short term gains. As it was an interim budget, we were not expecting any revolutionary steps. I hope the next budget will be more education-focused," he said.